Boaters have been doing well and are catching their limits and fishing from the shore has been good. Anglers have been catching limits between the 1st dock and the 2nd dock. Richard Lim of Livermore caught his limit of trout fishing by the 1st dock and he was using Powerbait. 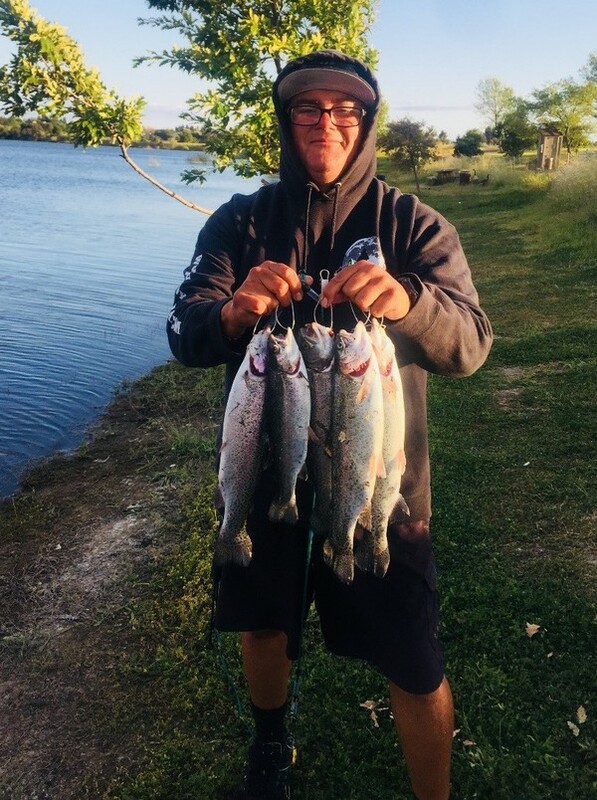 Stan Nunes of Pleasanton was boating and he caught limits of trout and one catfish. Mike Andrada of Pacifica caught two trout fishing off the Stanley dock and he was using Powerbait. Andrew Drake caught a three-pound trout fishing the eastside of Stanley shoreline and he was using Powerbait. G. Rezendez of Union City caught and released eight bass, he was float tubing in the arroyo, and he was using Senkos.